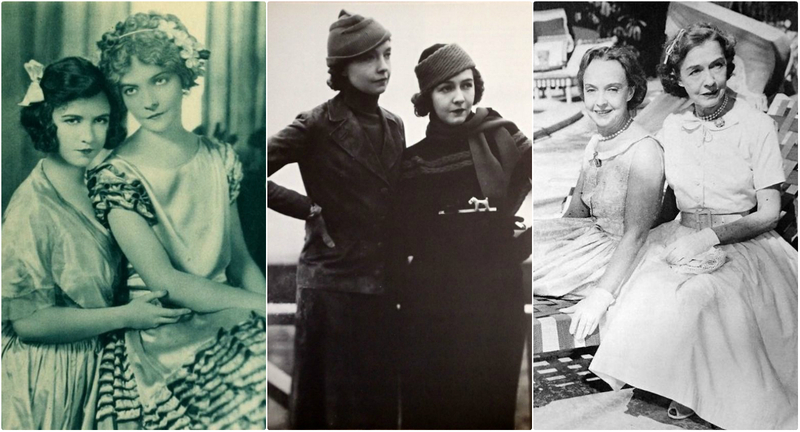 Lillian and Dorothy Gish were film legends in their own time; actresses who changed the perception of what screen acting could be at a time when films were thought to be “low art” at best. Though the sisters achieved global stardom on the silver screen, they never forgot their Ohio roots. Dorothy was married to James Rennie, a Canadian-born actor who was her co-star in Remodeling Her Husband (filmed in 1920, it was directed by Dorothy’s older sister, Lillian, in her only directorial outing). They were married in 1920 in a double ceremony with actress Constance Talmadge and businessman John Pialoglou. They divorced in 1935; Dorothy never remarried. Dorothy died in 1968 from bronchial pneumonia at the age of 70 at a clinic in Rapallo, Italy, where she had been a patient for two years, with sister Lillian at her side. Lillian died peacefully in her sleep of heart failure in 1993, aged 99. Her body was interred beside that of her sister Dorothy at Saint Bartholomew’s Episcopal Church in New York City. Her estate was valued at several million dollars, the bulk of which went toward the creation of the Dorothy and Lillian Gish Prize Trust. These glamorous photos show portraits of this beautiful sisters together during their life.